As one of the four ancient civilization countries in the world, the history of China is more than 5000 years. During this period, many festivals have been developed and passed down from generations to generations. Unlike the western country, most of the traditional Chinese festivals are celebrated according to the Chinese lunar calendar rather than the Gregorian calendar. This series of articles is going to present you 6 traditional Chinese festivals. In this article, I would present you with the Qingming Festival. 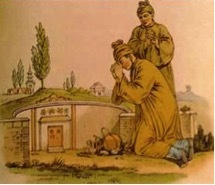 The Qingming Festival, also known as the tomb-sweeping day, is one of the most important festivals in China. It is a festival when people honor and offer sacrifices to their ancestors. The history of it is more than 2500 years, which could date back to the Zhou Dynasty. At first, the Qingming Festival would last for twenty days before and after the spring equinox; however, the date has been set by the government since 1935 on the 5th of April every year (the Gregorian calendar). It has also become a public holiday since then. In the very beginning, Qingming only referred to as one of the 24 traditional solar terms. It is the 108th day after the winter solstice. It would be a great time to begin agriculture activities since the snow has already melted and everything rouses up from sleeping. The world would be clean and clear, hence it is Qing and Ming. (“Qing” means clean in Chinese; and “Ming” is “clear” in this context.) 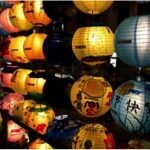 Although It is unclear that how the festival has evolved from a merely solar term, it has already become a special day. 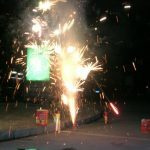 Thera are many preparation and celebration activities. In the ancient China, people ate the cold food. 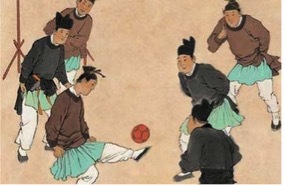 In order to prevent the cold food having the negative effects on the body, there were many sports and outdoors activities including hiking, playing on the swing, playing Cuju (it is regarded as the origin of the ancient football), playing the polo, planting the tree, flying the kite, sweeping the tomb to name but a few. Nowadays, some of the activities like sweeping the tomb, flying the kite and planting the trees still remain. It is noted that although people do burn the paper money to honor their ancestors, it is forbidden by the government in some areas due to the potential fire risks. There are also some special foods for this festival. One of them is Qingming Guo or steamed glutinous rice paste. 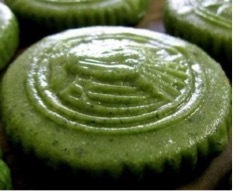 It is made of the glutinous rice mixed with a special vegetable placed on the wormwood leaf. 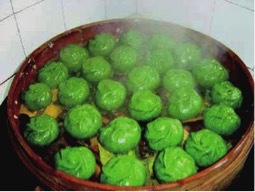 It is one of the traditional foods of China. There are variations of shapes and names of Qingming Guo around the country. However, they do have one thing in common – all of them are green. Although many minorities are also celebrating the Qingming Festival, there are many differences between the ways they celebrate. Even among the Han, people living in different provinces celebrate the Qingming Festival differently. Additionally, numerous poems have been made by poets over the past thousand years to celebrate this festival.